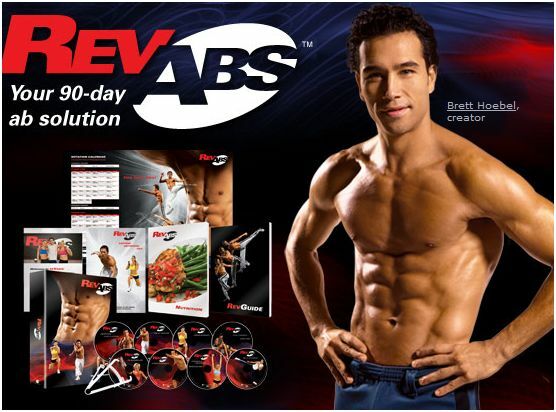 Have you tried endless sit-ups, boring crunches, or even ab machines, and you still have a layer of fat covering your abs? Don’t give up—you have to Rev It Up! 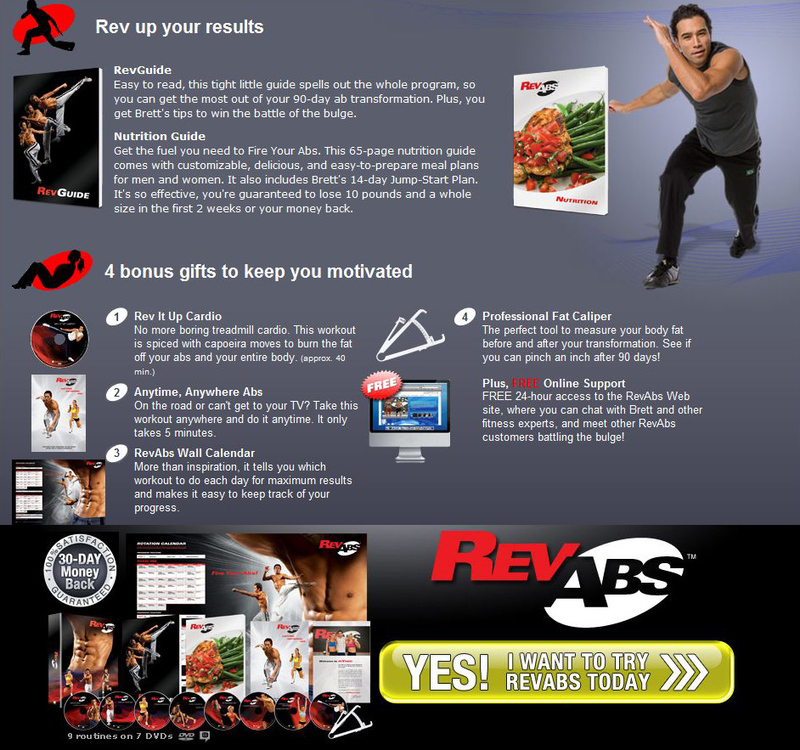 You need RevAbs™, the brand-new ab system specifically designed to burn off the fat and give you a six-pack in just 90 days. Use Brett’s Jump-Start Plan, and you can lose up to 10 pounds in the first 2 weeks. And in 90 days, we bet you can’t pinch an inch!